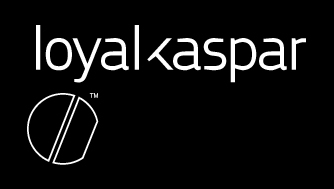 Founded in 2003 as a motion graphics boutique, loyalkaspar has evolved into a design and story-driven creative engagement studio. Part design studio, part branding agency, part production company, we exist at the intersection of graphic design, narrative storytelling, and contemporary culture. We are uniquely positioned to handle all challenges of the converging media landscape: we can conceive it, produce it, brand it, package it, and promote it. Junior Designers & Animators: We are looking for junior level designers and animators to join our team on a freelance and/or staff basis. Designers should have a broadcast design focus with an interest in network branding. Logo design skills are a plus. Additional background/interest in print, web and interactive welcome. Animators should have an interest in 2D and/or 3D animation for network branding and commercial work. Compositing experience a plus. Character animation and VFX experience not necessary.